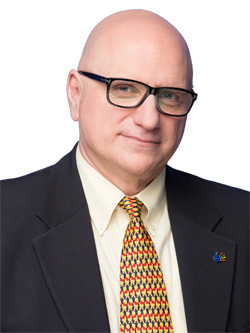 Frank Soriano is a seasoned Toronto-based keynote speaker, workshop facilitator and leadership development consultant. Holding a Combined Honors. B.A. from York University, Frank’s early professional days as a rehabilitation counselor well informed his middle and senior years in progressive leadership and management positions within the fields of health, wellness and workplace safety. Frank spent the last ten years of his organizational life working as an Internal Consultant focusing on leadership development, the delivery of Human Resource products and designing/developing customized interventions for work teams. Licensed in a number of leadership assessment tools, passionate and highly learned regarding the value and importance of leadership, enhancing relationships and systems thinking, and with 30 years of experience to offer, Frank delivers content-rich, thought-provoking presentations.